Drake has addressed the cover artwork used on Pusha T’s diss track “The Story of Adidon,” which shows the “Nice for What” rapper in blackface. 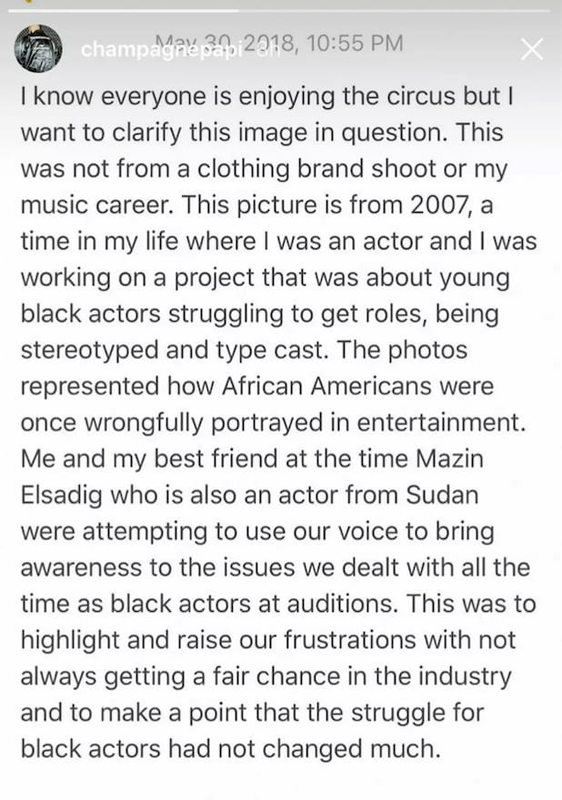 “I know everyone is enjoying the circus but I want to clarify this image in question,” Drake began in a statement posted to his Instagram story. 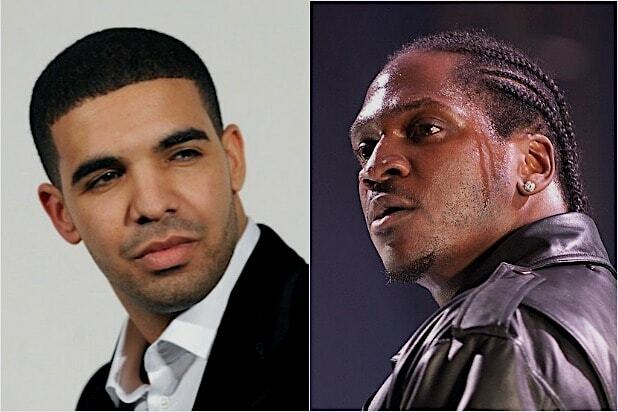 Pusha T used the old photo of Drake in blackface as the cover art for his new song, in which he claims Drake is “hiding a child” and that his music “for the past few years” has been “angry and full of lies.” The whole song, which mentions Drake by name as well as his father and mother, Dennis and Sandi Graham, is full of scathing disses. On Tuesday, Pusha T also took to Twitter asking everyone to “stop referring to this picture as ‘artwork,’ I’m not an internet baby, I don’t edit images…this is a REAL picture…these are his truths, see for yourself.” He then shared a link to photographer David Leyes’ website. Pusha T released his third studio album, “Daytona,” on May 25, and one song titled “Infrared” took a shot at Drake and Quentin Miller, a rapper long accused of being Drake’s ghostwriter. Less than a day later, Drake released “Duppy Freestyle,” in which he takes a shot at Pusha T’s drug dealing history. He also called out Kanye West in the song. According to Time, however, their beef dates back to the early 2010s. See Drake’s full Instagram post below.